It's OK. Classical presta template. Thank you for awesome template!!! 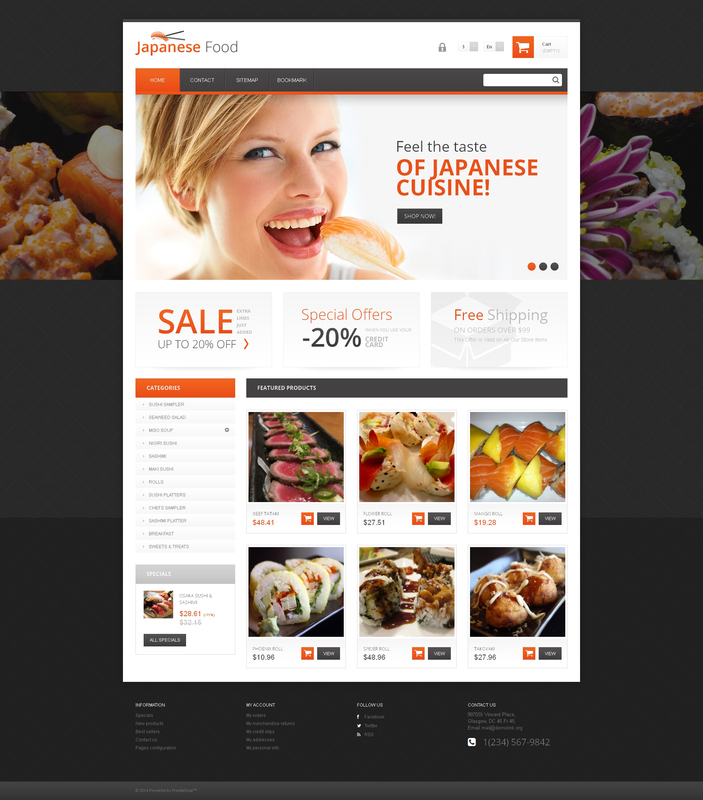 This delicious design belongs to the Japanese Restaurant PrestaShop Theme developed for all kinds of food-related stores. Its background is represented by a dark texture with a large image, while the content area is designed in light colors - white, light grey, and orange. There is a spacious accordion menu in the left-aligned sidebar, where you can place links to your store's categories and subcategories. This responsive PrestaShop theme supports several languages and currencies, making it possible for you to create an international online store and expand your audience. It&#039;s OK. Classical presta template. I apologize for insisting, but unfortunately I have problems with this thema and not of g to solve them, and I have to give answers to my client. In the meantime, he was born a further question: I did some tests and orders arrive only emails to the user, but to my client who is the manufacturer of the products do not arrive via e-mail orders to prepare the goods and then send it; Assuming that the email works fine because every day we receive emails. Where am I wrong? I await her reply also to the demands of the previous days. Thank you very much.